Mild cream coloration due to the high content of protective oils and emollients. 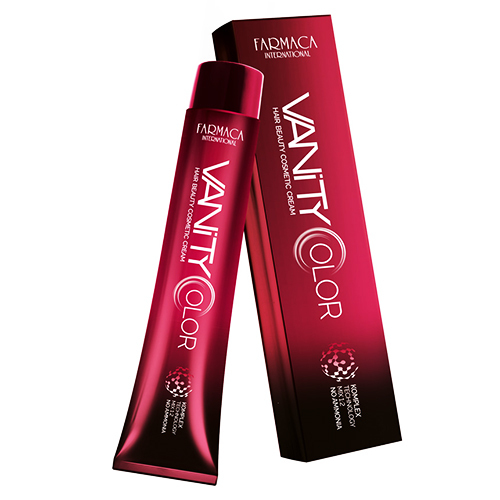 Allows you to switch from natural or dyed black hair to natural blond tones by eliminating reddish/orange. • Lightening action: flux for capellitinti (synthetic pigments) and Whitener for natural hair (melanin). 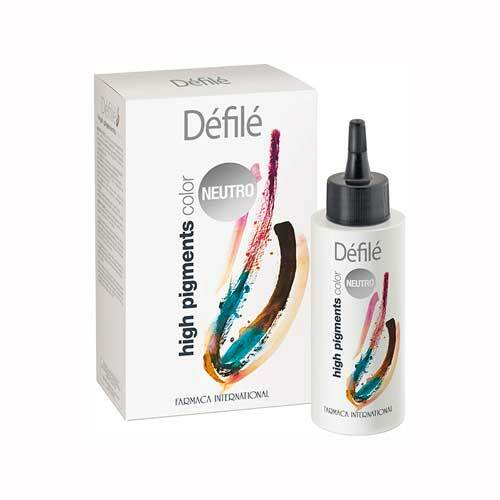 • Colouring Action: insertion of new pigments within the hair resistant to oxidant. directions for use: mix with BEAUTY OXILINE (10, 20, 30, 40 volumes) in 1:1 ratio. Apply on individual sections or on the entire scalp, leave on and rinse. 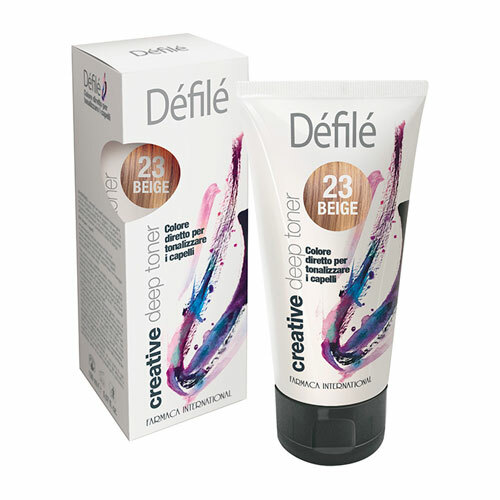 The action of DÉFILÉ ONE STEP COLOR is progressive over time so check the lock during installation, until the desired result. 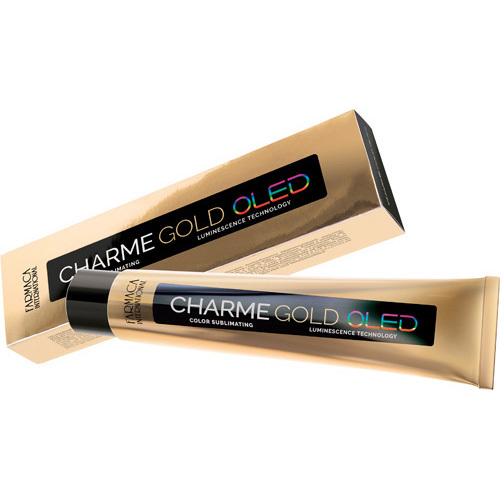 packaging: tube of 80 gr.